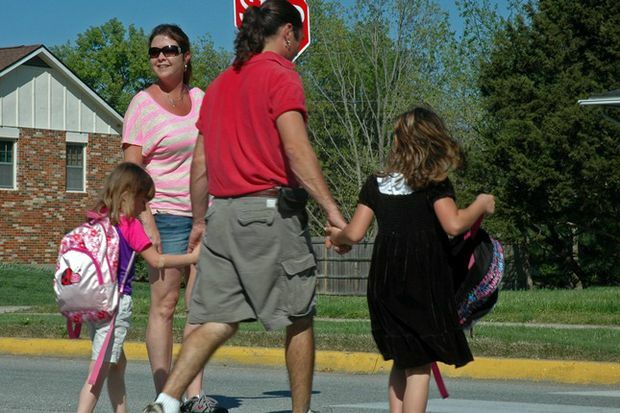 (Irving, TX) – When the school bells ring again there will be more pedestrian traffic in and around school zones throughout Texas. That’s why AAA Texas urges motorists to use extra caution. Afternoon hours are particularly dangerous for walking children – over the last decade, nearly one-third of child pedestrian fatalities occurred between 3 pm and 7 pm. According to Safe Kids Worldwide, two-thirds of drivers speed through school zones, and nearly half of all drivers fail to come to a complete stop at stop signs. Obey Traffic Signs. Obeying traffic signs is something all motorists should do no matter where they drive. Always come to a complete stop at stop signs, checking carefully for children on sidewalks and in crosswalks before proceeding. Stay Alert. Motorists should always avoid distractions while driving, especially in school zones and residential neighborhoods. Looking away from the roadway for just two seconds doubles the chance of being involved in a crash. Don’t talk on mobile phones, text, adjust the radio or anything else that might take your attention away from the roadway. Scan Between Parked Cars. Children can quickly dart out between parked cars or other objects. Drivers should pay close attention at intersections, but also along residential streets where children could be present. Look for Clues of Children Nearby. Keep an eye out for signs that children are in the area such as crossing guards, bicycles and playgrounds. Always Stop for School Buses. The greatest risk school bus riders face is when approaching or leaving the bus. Motorists should slow down and prepare to stop when a school bus has flashing yellow lights that indicate it is preparing to stop and load or unload children. Drivers are required to stop when a bus has red flashing lights and extended arms which indicate children are in the process of getting on and off. Reverse responsibly. Every vehicle has blind spots. Check for children on the sidewalk, in the driveway and around your vehicle before slowly backing up. Teach children to never play in, under or around vehicles. Watch for bicycles. Children on bikes are often inexperienced, unsteady and unpredictable. Slow down and allow at least three feet of passing distance between your vehicle and a bicyclist. Allow for Extra Travel Time. Drivers should allow extra travel time when school is in session to avoid any temptation to speed or disobey traffic laws in an effort to ‘catch up’ after being delayed. Review Your Travel Route. Consider changing your route to avoid school zones and residential neighborhoods where there is more congestion and lower speed limits. Cross at corners, never in the middle of the block. Stop and look in all directions before crossing. If there is no sidewalk, walk facing traffic, in single file, as far away from the road as possible. Wear properly-fitting safety equipment and helmet when riding a bicycle. Remember that a bicycle is a vehicle and must follow the same rules of the road as cars. Remain quiet, so the bus driver can concentrate. Be alert to traffic when getting on and off the bus.